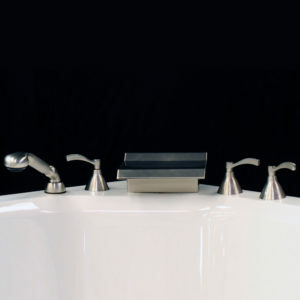 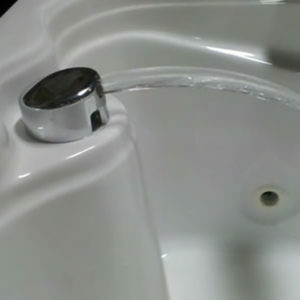 Designer whirlpool faucetry comes from the American Faucet and Coatings Corporation. 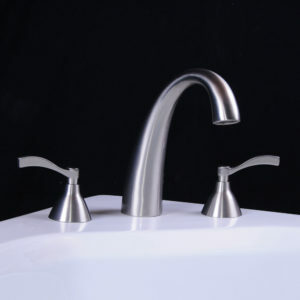 All our faucets use German made ¼ turn ceramic disc cartridges with a lifetime warranty. 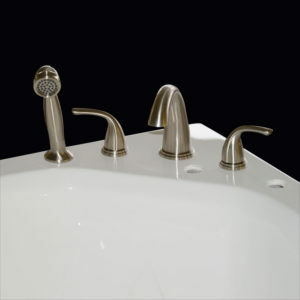 Spouts, handles, escutcheons and valves are solid brass. 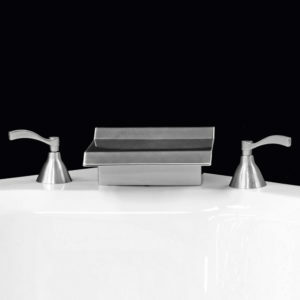 Not plastic or stamped metal.